What’s That Smell and Taste? Today’s activity saw the TAP and general students combine to test their taste buds and sense for scents. 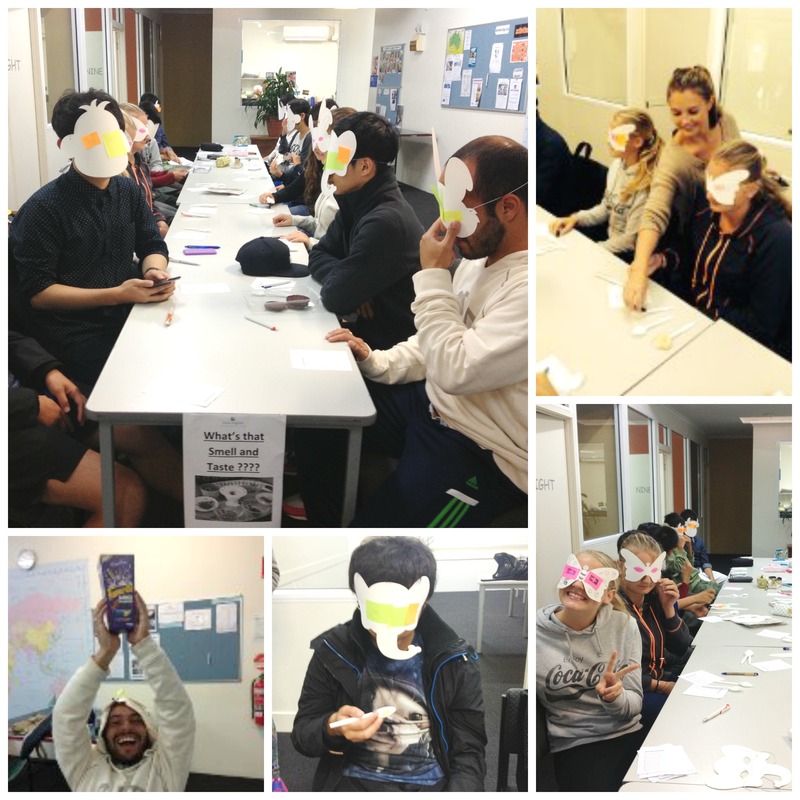 Everybody was blind folded with jungle animal masks before braving the spoon for eight different foods in which they tried to guess correctly. The food selection ranged from delicious nutella and strawberry jam to the not so popular vegemite and vinegar. A great effort by all the students but congratulations to will (Brazil) who came out on top rewarding his taste buds with a big box of chocolates. Have a great weekend everybody.